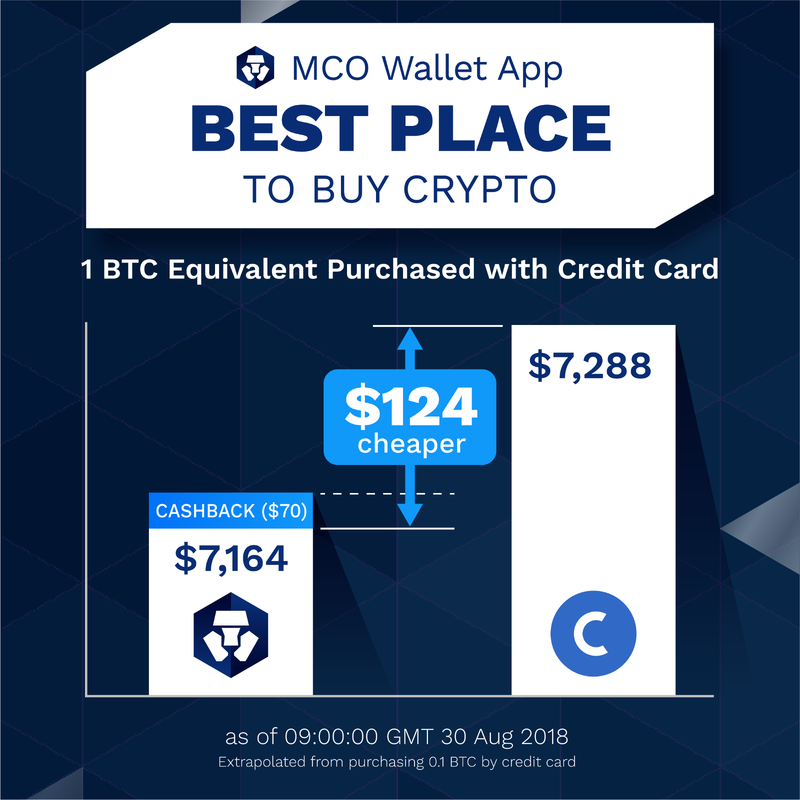 Making MCO Wallet App the Best Place to Buy Crypto. <HONG KONG, August 30, 2018> CRYPTO.com’s MCO Wallet App allows users to buy, exchange, sell, store, and send cryptocurrencies including bitcoin (BTC), ether (ETH), Litecoin (LTC), Binance Coin (BNB), our own MCO token and USDM. CRYPTO.com is focused on developing products and services that are simple to use and powerful — to drive the acceleration of the world’s transition to cryptocurrencies. To that end, today we will begin sharing developments to make our Wallet App the best place to buy crypto. Credit/Debit Card Fees: With our vision of Cryptocurrency in Every Wallet® in mind, we have significantly reduced the fees on credit/debit card purchases to the market leading rate (3.5%). This lowers the barrier for many first-time crypto buyers. Price Execution: Our open beta testing has allowed us to optimize our trading engine and provide even better prices. Price Display: Responding to user feedback, we have removed several instances of USD and crypto dual pricing in favor of crypto-centric price display. A further enhancement has been the pricing alignment to show consistent prices throughout the Wallet App. Price Timer: To ensure that we can offer our users the latest rate for their transactions, we have introduced a 15-second timer which locks the rate displayed — What You See Is What You Get. Further app enhancements will be announced shortly to help establish the MCO Wallet App as the best place to buy crypto.